In the kimono class you make a robe that coordinates with your pajamas. This garment is so versatile, it would also be a great beach cover-up or a bohemian style duster! Learn to apply interfacing, attach sleeves, apply patch pockets, and a hand sewing technique for fine finishing. You come away with important new skills and vocabulary. 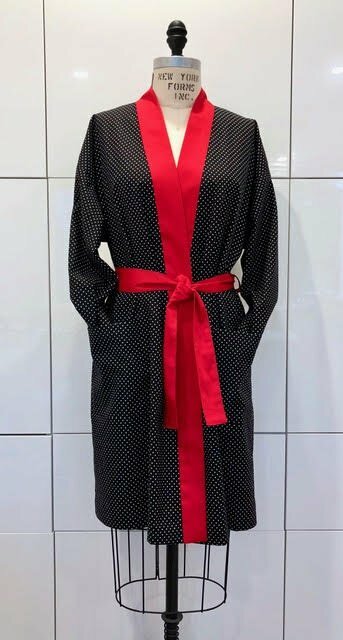 After two class sessions, you’ll have a beautiful kimono style robe!